West Ham shrugged off Dimitri Payet's absence as an Andy Carroll wonder-strike helped secure a 3-0 win over Crystal Palace. 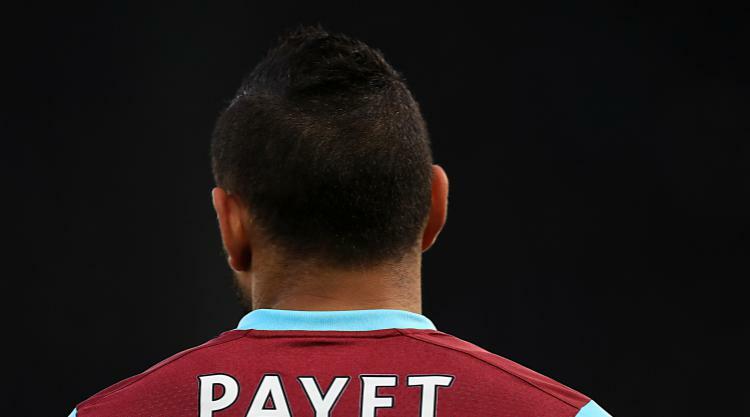 Payet this week rocked the Hammers by asking to leave the club and refused to play against the Eagles. But Sofiane Feghouli's first Premier League goal, Carroll's stunning bicycle kick and a stylish late third from Manuel Lanzini ensured the France star was not missed. Indeed, West Ham actually put in their finest display of the season while their so-called talisman kicked his heels elsewhere. West Ham's fans certainly made their feelings about their former favourite abundantly clear with a less complimentary take on their 'We've got Payet' terrace chant. He may have been West Ham's poster boy, but the club even stationed a steward in front of Payet's image on the outer wall of the London Stadium to prevent it being vandalised. Nevertheless joint-owner David Sullivan vowed he would not let the player leave this month in his programme notes. West Ham needed a win to end a depressing week on a high as well as halt a run of three straight defeats, and they did just that against former boss Sam Allardyce, who is still without a victory since taking over at Palace last month. The only downside was police having to help deal with a disturbance between rival fans during the match. The hosts should have taken the lead in the 26th minute when Mark Noble scampered past Joel Ward down the right and pinged his cross towards Carroll. Unfortunately for the powerful striker his fierce volley from 14 yards out fizzed inches over Wayne Hennessey's crossbar. Although Payet was absent, there was another mercurial Frenchman on the field and Yohan Cabaye almost marked his 31st birthday with a goal, only to see Darren Randolph keep out his fierce volley. Moments later West Ham old boy James Tomkins came up with an awful miss from two yards out when he side-footed Andros Townsend's free-kick across goal and wide. It was the sort of clearance the defender would have been proud of had he still been in a claret and blue shirt, and it meant the sides went in level at the interval. But West Ham kept knocking at the door after the break and were rewarded in the 68th minute when Michail Antonio rounded Hennessey and slipped the ball across goal for Feghouli to slide in. Ten minutes later Antonio whipped in a cross from the left and Carroll launched himself into the air to lash home a special goal with his left foot. Lanzini ensured it was a case of 'Dimitri who?' five minutes from time when he collected Antonio's pass on the halfway line, raced clear and chipped Hennessey to wrap up a much-needed win.